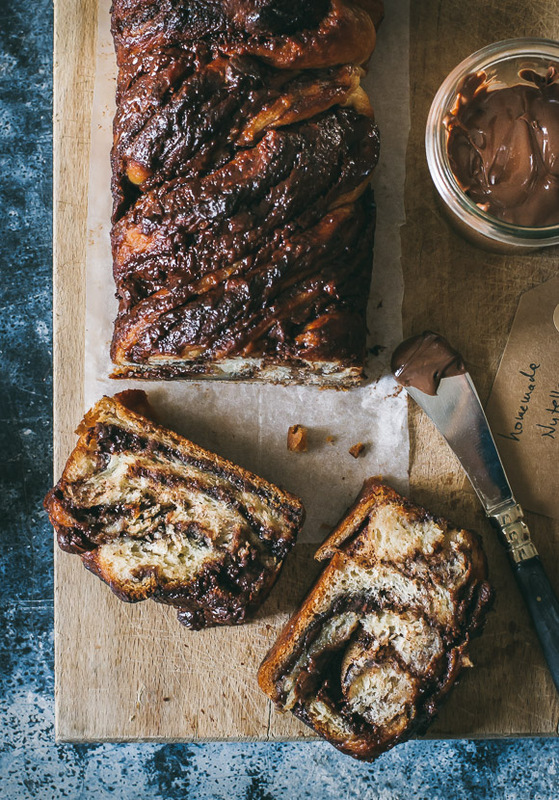 Nutella Babka - Pretty. Simple. Sweet. 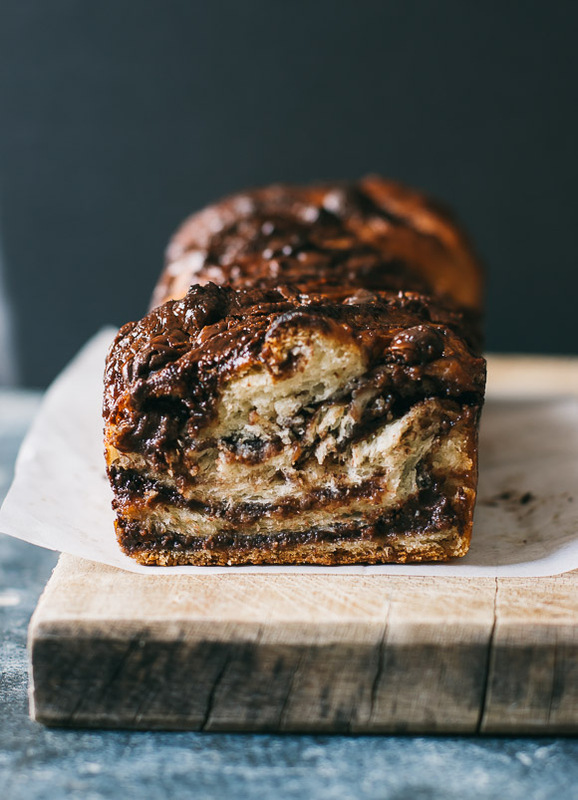 This comforting babka is made of a soft and airy dough, is loaded with a gooey Nutella filling, and has a crunchy chocolatey topping. My love for babka, especially chocolate babka, is evident. I eat it every weekend (and 99% of the time during the week, too), and I know each and every babka from each and every bakery in town. I’m obsessed, and that obsession resulted in me adding lots and lots of Nutella to my homemade babka yesterday. My thought process was simple: the more, the merrier. Some like babka because of the dough, while for others, it’s all about the filling (Me!). 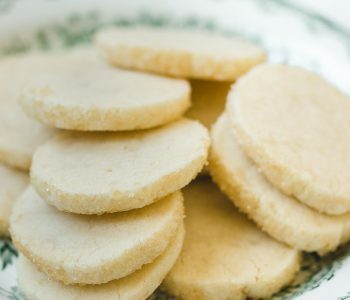 My secret for having plenty of filling in every single bite, other than simply using a large amount of filling, is to roll the dough very thin, resulting in more layers of filling with less dough between. This recipe has the perfect ratio in my opinion, but if you don’t like sweet babka and instead prefer one with more dough, just reduce the amount of filling. 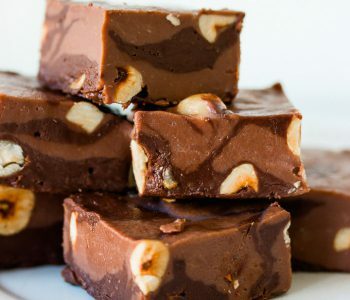 I also like to add some nuts or chocolate chips for extra taste and crunch. First rise – in the fridge or at room temperature? Although it’s possible to leave the dough at room temperature for the first rise, it’s recommended to place it in the fridge for at least 8 hours so that it sets properly and is easy to work with. The flavor also improves during this time. However, if you don’t have the time, you can place it on the counter to shorten the process. The rise will be rather slow, especially in cold weather, so be patient. To learn how to shape babka like a pro, here are some photos to show you how it’s done. The sugar syrup is optional, though I like to add it because not only does it make the cake shiny and beautiful but it also keeps the babka fresh for longer. This recipe calls for warm water, which is a better temperature for the yeast. I usually combine boiling water with room temperature water until it’s warm to the touch (110F/45C), then measure from that the amount I need. The water can be replaced with warm whole milk for a richer flavor. It’s important to avoid opening the oven door within the first 20 minutes of baking to maintain the heat and let the cake rise nicely. The entrance of cold air can cause it to collapse. To make the dough: Place flour, sugar, and yeast in the bowl of a standing mixer fitted with the dough hook and mix on low speed until combined. Add eggs, water, and lemon zest, and mix until dough comes together, 2-3 minutes. While mixer is running, add butter, a few cubes at a time, and mix until incorporated, about 5 minutes. Add salt and continue mixing for another 5 minutes on low speed, until the dough is completely smooth and elastic and pulls away from the sides of the bowl. During mixing, scrape down the sides of the bowl using a spatula as needed. Place dough in a large bowl brushed with oil (the fat will keep the dough from drying out), cover with plastic wrap, and leave in the fridge for at least half a day or overnight. Alternately, place on counter at room temperature for 1½-2 hours or until doubled in size. Grease two 2¼-lb/1kg loaf pans (9×4 inch/23×10 cm) with oil and line the bottom of each pan with wax paper for easy release later on. Set aside. Rolling and shaping (photos here): Divide dough in half. Roll out dough on a lightly floured surface and shape into a rectangle measuring 16×14 inches (40×35 cm). Position dough so that the long side is closest to you. Using an offset spatula, spread half of the Nutella spread over the rectangle, leaving a ½-inch/1cm border all around. Sprinkle half of the chocolate chips or nuts on top. Use both hands to roll up the rectangle like a roulade, starting from the long side closest to you and ending at the other side. Press to seal the dampened end onto the roulade, then use both hands to even out the roll into a perfect thick cigar. Rest the cigar on its seam. Using a serrated knife, gently cut the roll in half lengthwise, starting at the top and finishing at the seam. You should have two long, even halves with the layers of dough and filling visible along the length of both. With the cut sides facing up, gently press together one end of each half, then lift the right half over the left half. Repeat the process again, this time lifting the left half over the right to create a simple two-pronged plait. Gently squeeze together the other ends so that you are left with two intertwined halves showing the filling on top. Carefully lift cake into a loaf pan. Don’t worry if there are gaps in the pan since the cake will rise and look fine, even if you feel like it’s messy at this point. Cover the pan loosely with plastic wrap and leave to rise on the counter for 1 to 1½ hours (in warm weather it can take 45 minutes). Repeat using the remaining dough and Nutella to create the second cake. Preheat oven to 350F/180C, making sure to allow plenty of time for it to heat fully before the cakes have finished rising. Remove plastic wrap and place cakes on middle rack of oven. Reduce heat to 340F/170C and bake for 35 minutes. While the cakes are in the oven, make the syrup. In a small saucepan over medium heat, bring water and sugar to a boil. As soon as the sugar dissolves, remove from heat and set aside to cool. Once the cakes are out of the oven, brush the syrup over them. Use all of the syrup, even if it looks a lot. Let cakes cool until they are warm, then remove from pans and let cool completely before serving. Serve warm or at room temperature. Babka will stay fresh for 24 hours in an airtight container at room temperature. Do not place in the fridge. It also freezes well for up to 2 months. To thaw, leave on counter or overnight in the fridge. I’m floored at how beautiful your pictures are! AHHHHHH!!!! I’m an instant fan! Thank you so much, Aaron! 🙂 I’m gonna share my photography secrets soon so stay tuned! I started this process last night and did not realize it has to proof twice. 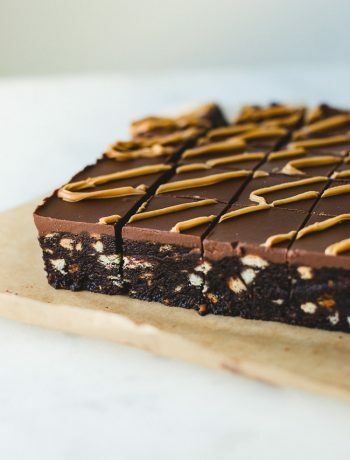 Can I let it proof a second time in the fridge while I am at work and bake it tonight? This looks lovely. 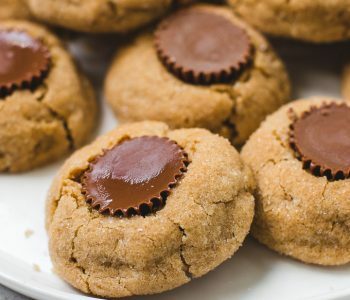 Is there any way I can make it without using a standmixer? I dont current own one. Yes you can Melissa! Add the ingredients in the same order and knead the dough for about 10 minutes or until smooth and elastic. It would be sticky while adding the butter (add it slowly, a few cubes at a time), but just keep kneading. Wow these pictures are absolutely STUNNING. Tell me your secrets! And coming from an Eastern-European Jewish home, I of course love babka. This looks almost (almost!) too good to eat. I am so impressed and neeed to make this! Thanks for all the wonderful tips. 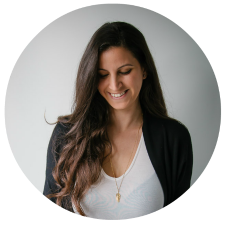 I love sharing all my tips with you! Thank you, Molly! Genius, I definitely need to give this a go! This came out so great! I only had one loaf pan. Made the second in a tube pan! Gorgeous! Hi Shiran, having made your delicious cream scones and upside down banana cake, I am sure this will also turn out amazing and I can’t wait to try it! However, I would like to substitute the chocolate filling for a halva filling – when I was in Israel I had these amazing halva babkas and I would love to make them at home. 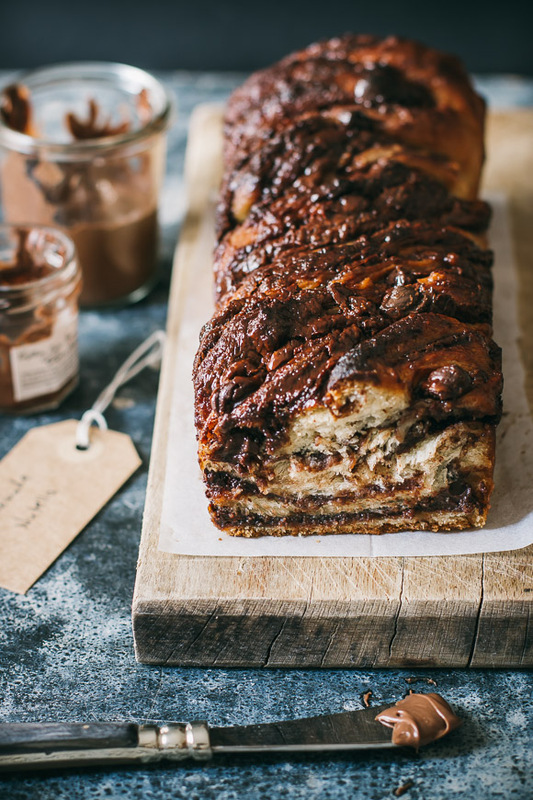 However, when I search the net for halva babkas, I only get recipes that call for a mix of chocolate and halva, while what I am really going for is just pure halva flavour. Would you have any tips on how to go about it? Hi Marta! 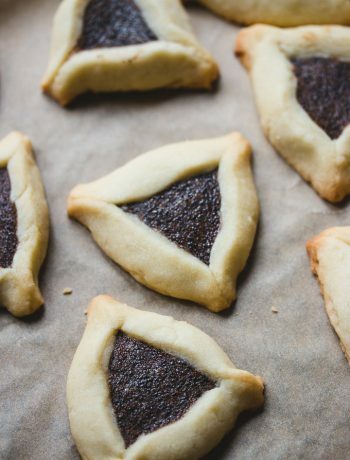 In Israel, most recipes use halva spread, or a combination of halva spread and crumbled halva. These ingredients are easy to find in Israel. Thanks so much for the tip Shiran! 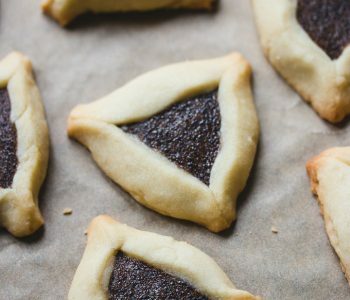 Do you think I can make the halva spread myself, for example by mixing tahini and honey, or is it really a different ingredient I should try to get my hands on? Hi Marta! I did try making a spread using equal amounts (in grams) of tahini and date honey (which tastes better than honey in my opinion) and it worked well, but then again, I’m not sure if date honey, also called silan, is available to you. You can try it with honey, but I can’t promise the result. Thanks so much! 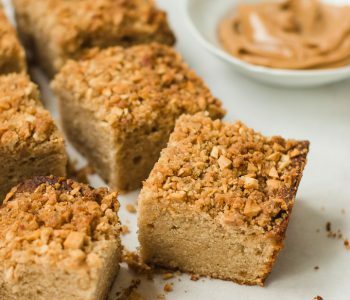 We tried it with just plain honey (couldn’t find the date syrup) and it turned out amazing! We also tried another one with just brushing with melted butter and then pieces of plain halva and that worked pretty well too… This will keep us going till next time we are in Israel! I’m so glad to hear that! Another popular combination in Israel is pieces of halva and chocolate chips/chopped chocolate, so you can try it next time! I did this nutella babka yesterday with my little sister and all our family loved it ! The recipe is quite easy and you can find all the ingredients in your fridge on a daily basis. I also loved the fact that the recipe includes photos for the shaping part, great job ! SO GOOD! My family of four finished the first loaf the night I made it and the other we had for breakfast the next morning. I made this on Monday and am making it again today. I’m going to try one chocolate loaf and one cinnamon this time. The dough is heavenly! This recipe is definitely a keeper! Thanks so much. It’s So Great and Delicious. I’ve made this recipe. My family love it. 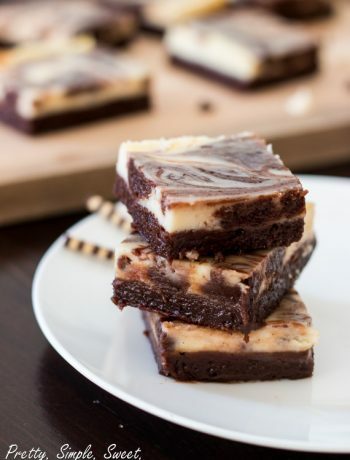 Thanks a lot for sharing this recipe with detailed explanation and photo. This looks amazing! Can’t wait to try it out when I muster the courage. :). Still pretty new to making yeast doughs. The ratios for your nutella and chocolate babka doughs are different. Which do you prefer? The recipe that uses more eggs and butter is slightly richer, but both recipes are good. I have dozens of recipes for everything, and I like all of them. The recipe I make usually depends on the ingredients I have on hand or if I want something light or rich, depending on the occasion. I tried this recipe, but the dough didn’t rise in the refrigerator. I tried again with the fresh batch and didn’t rise too. I checked the refrigerator temperature and yeast. Both were working fine. I oiled my bowl well and moistened the top too. Though I kept for the whole day, it did not rise well. Secondly I kept the unrisen dough from the refrigerator out (on the counter) for 4 hours and prepared as per the recipe (rolled, filled and jkept for second rise). It got puffed up and when baked the babka turned out okay. It was a bit yeasty and tangy. What would be the reasons for not rising in the fridge and why did it taste tangy? It’s ok if it doesn’t rise a lot, but if it didn’t rise well then the yeast is the problem. Hey, is there a nutritional information chart for the recipe?